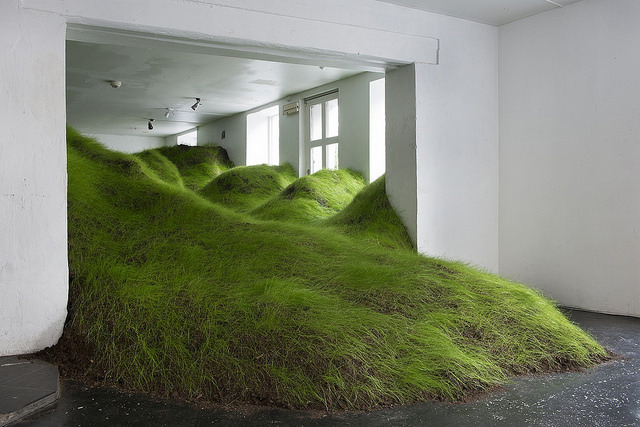 In Norwegian artist Per Kristian Nygård’s most recent installation, “Not Red But Green,” a lush, hilly lawn spilled out of NoPlace in Oslo. 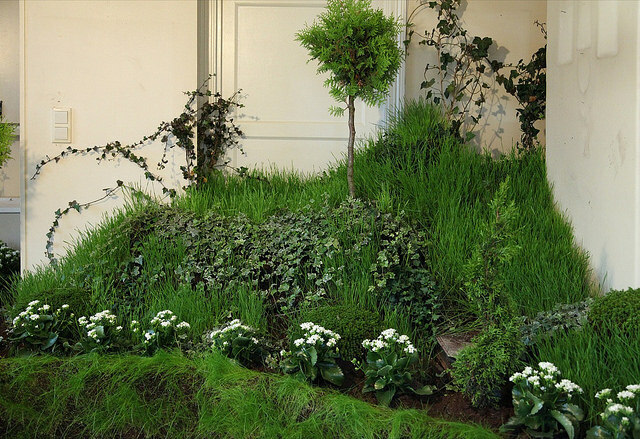 Its manicured grass resembled a scene from a well-kept park, not a gallery, effectively conflating the boundaries between indoors and outdoors. Nygård’s work is conceptual and cryptic. 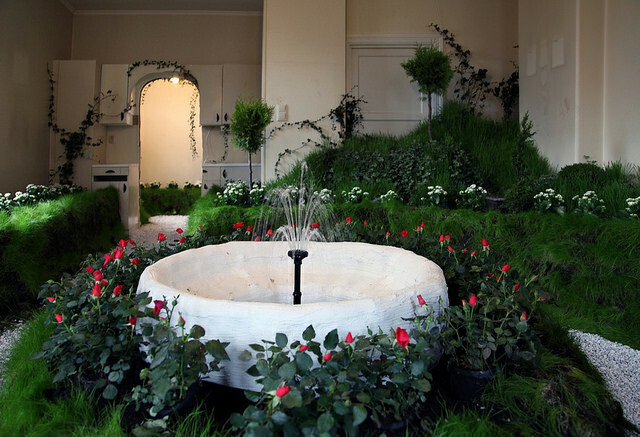 He describes the inspiration for “Not Red But Green” coming from a fever dream he experienced during a bout of the flu. 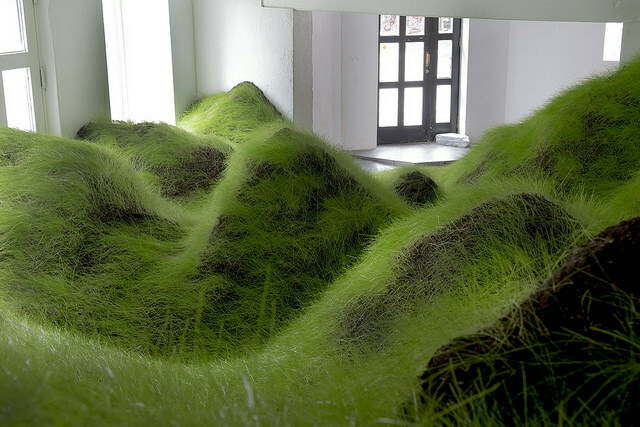 In his vision, he discovered a lump on his body and imagined himself traversing a crater of flesh and a forest of hair. 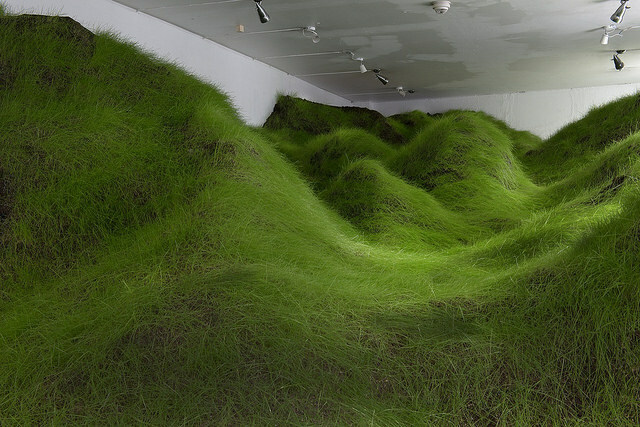 The hills in the installation came from this personal nightmare, but regardless of their backstory, they create a disorienting viewing experience that asks one to question the ways we commodify natural phenomena for human consumption. 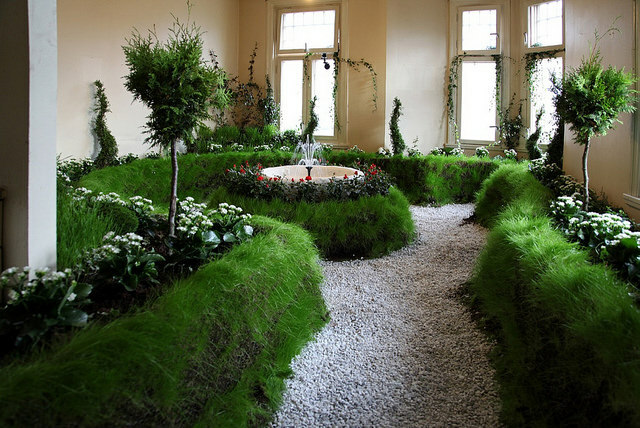 Nygård’s 2013 work “Hagen” was the precursor to “Not Red But Green.” The artist built an ornate garden in an abandoned apartment within a historical building slated for demolition. 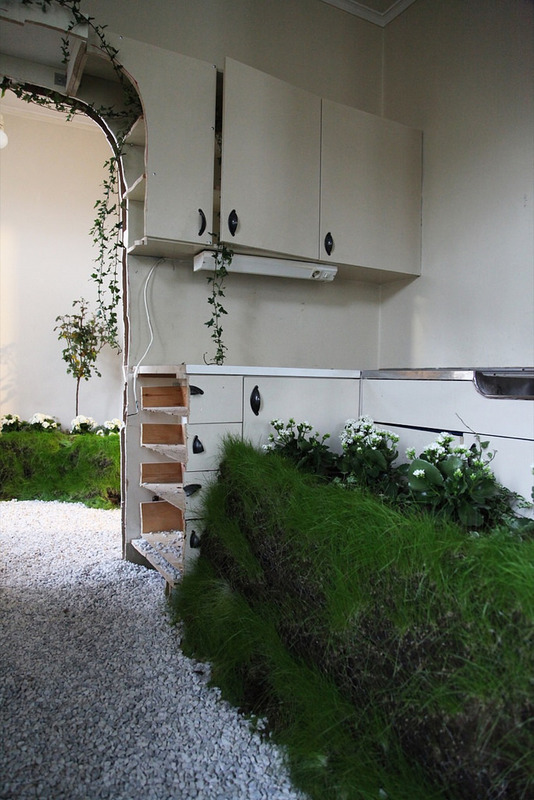 Creeping vines appear to overtake the manmade architecture, entering cabinets and blocking doorways. 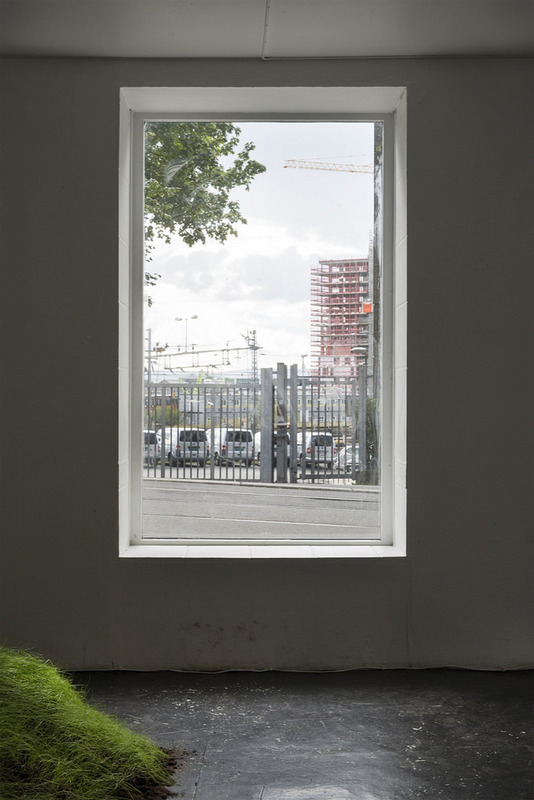 Nygård’s work seems to disregard the distinctions between public and private spaces, making us reflect on the ways we define and experience them.